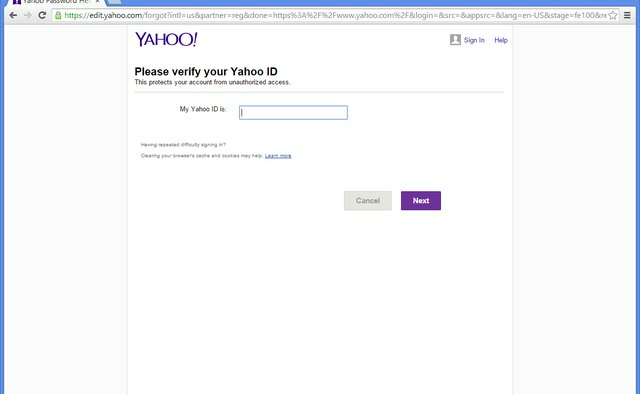 Most websites send a forgotten ID or password reset link to your email address, but since Yahoo IDs include their own email accounts, the process requires the cell phone number you provided while making the account or an alternate email address set up in advance. 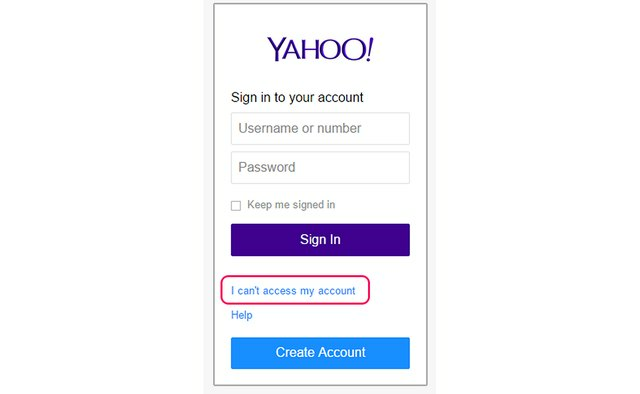 Whether you use Yahoo for Yahoo Mail, Yahoo Messenger, Yahoo Sports or another service, recover your forgotten information by clicking "I Can't Access My Account" on the login page of the Yahoo website. If you forgot both your ID and password, you need to recover your ID and reset the password separately. 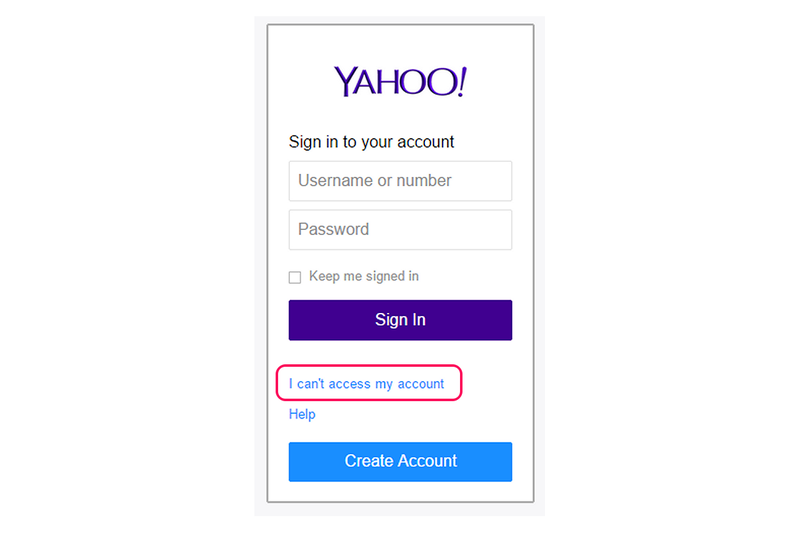 Press "Sign In" at the top of any Yahoo page to reach the [Yahoo login page](https://login.yahoo.com/). Click "**I Can't Access My Account**" on the page to begin recovery. Choose "**I Forgot My Yahoo! ID**" and press "Next." 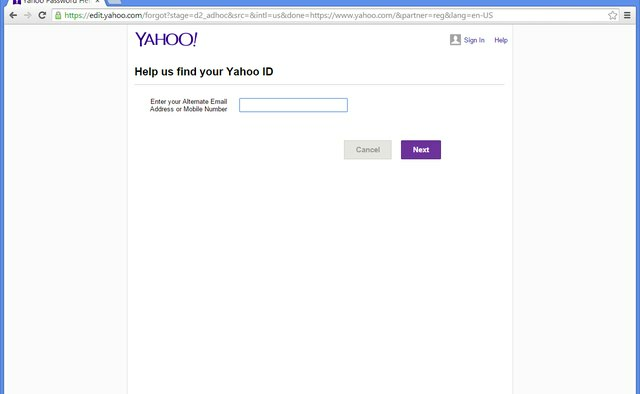 Enter the cell phone number you provided when creating your Yahoo account. 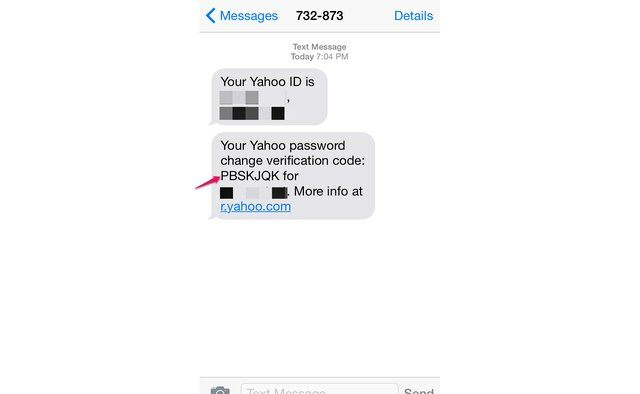 Press "Next" to receive a text with your Yahoo ID. 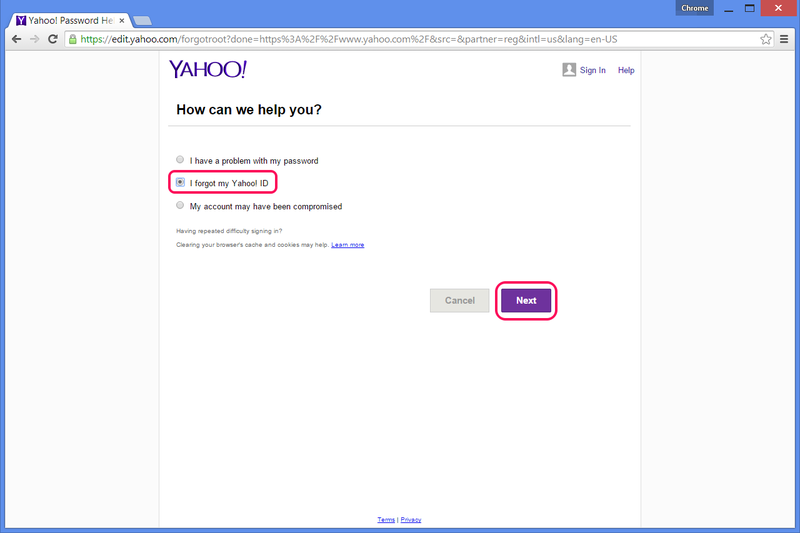 If you entered an alternate email address in your Yahoo account settings, enter this address if you prefer to receive an email instead of a text message. 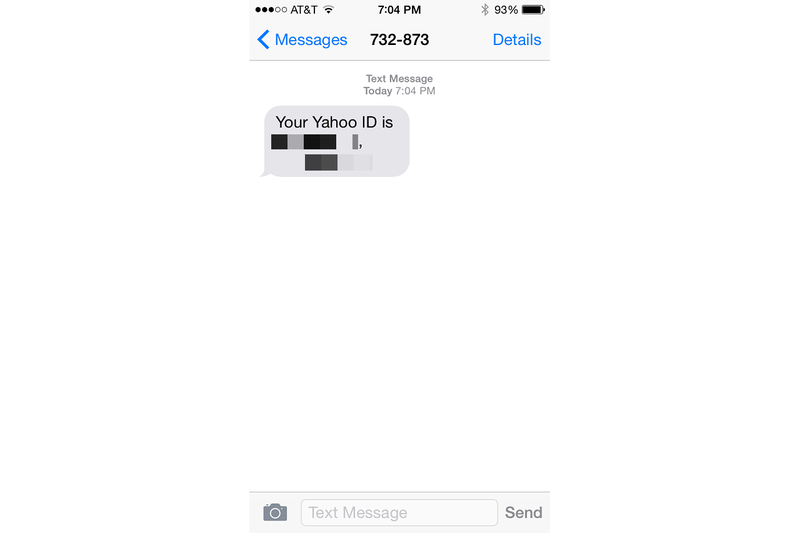 Check your text messages to see your Yahoo ID. If you have multiple Yahoo IDs under the same phone number, the message includes all the IDs. 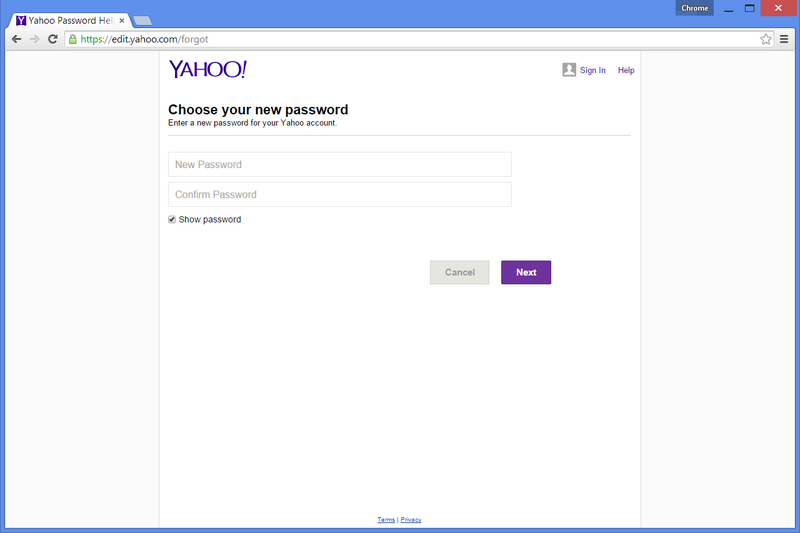 On your computer, return to the Yahoo login page and sign in if you remember your password, or else proceed to reset the password. 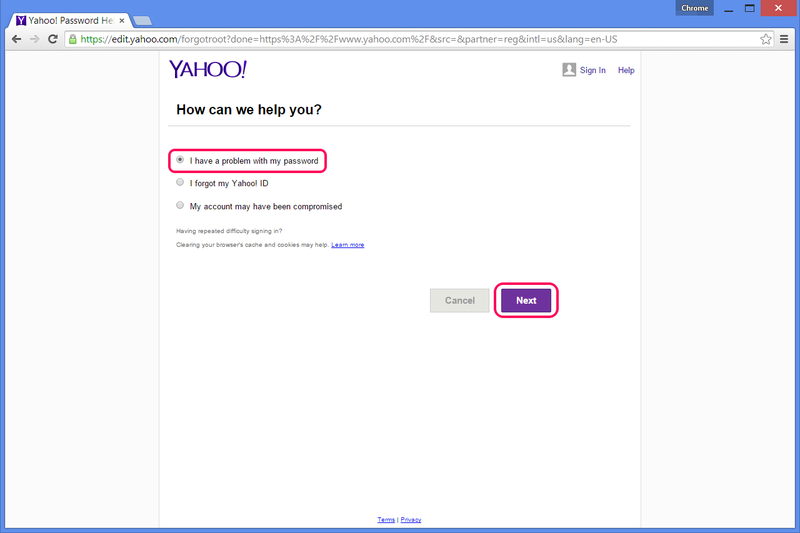 Click "I Can't Access My Account" on the login page, choose "**I Have a Problem With My Password**" and press "Next." Enter your Yahoo ID and press "Next." Choose to send a text to your mobile number. If you have an alternate email set up, you can send an email to this address instead. Press "Next" to continue. Fill in the indicated missing digits of your mobile number to confirm your identity. Press "Next" to send the text. 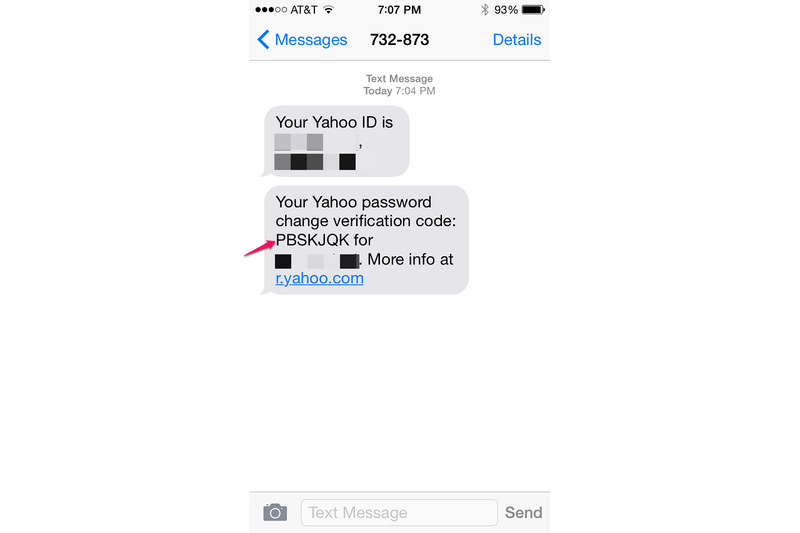 Read the verification code in your text messages. 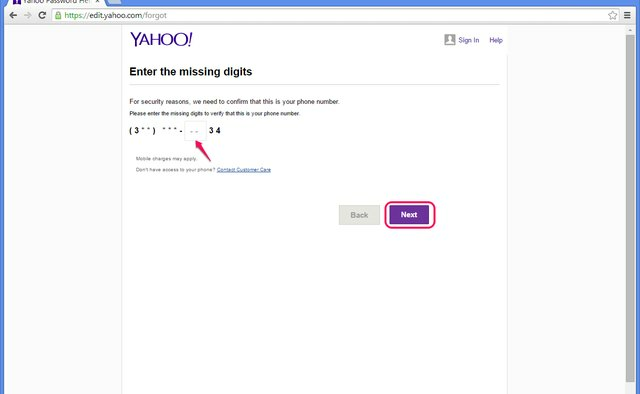 Enter the verification code on your computer and click "Next" to reset your password. 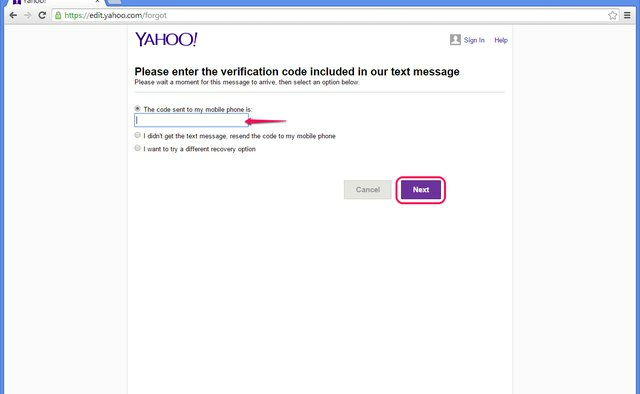 If you didn't receive the code, choose "I Didn't Get the Text Message, Resend the Code to My Mobile Phone," or pick "I Want to Try a Different Recovery Option" to switch to using your alternate email address. Choose a new password for your account and repeat the same password in the "Confirm Password" box. After you press "Next" to finalize the password change, return to the login page and log in using the new password. 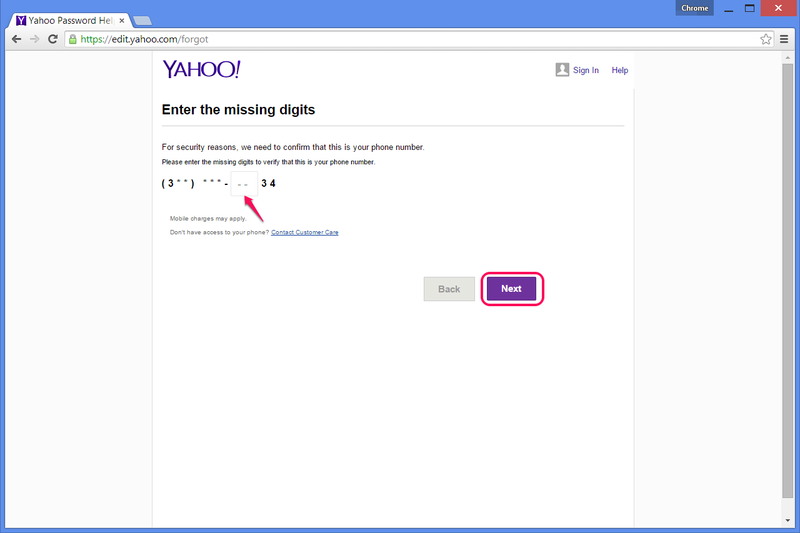 Always keep an up-to-date cell phone number in your Yahoo account settings. 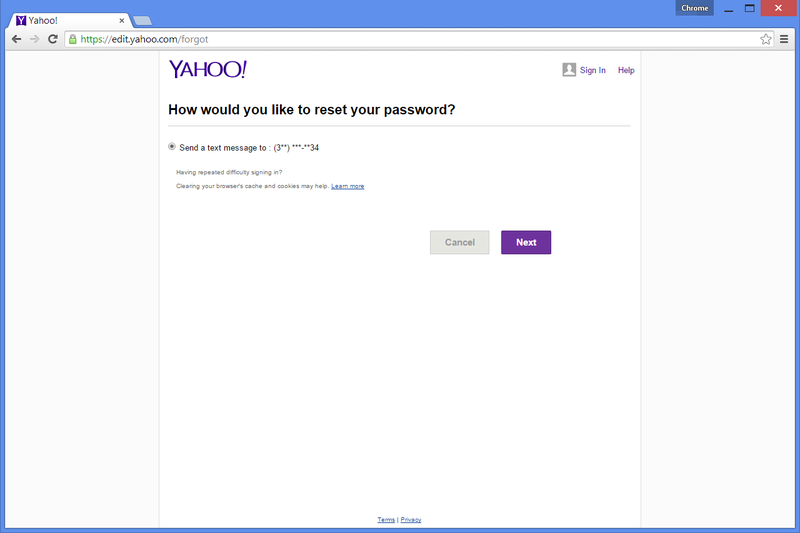 To change your number, click your name on the Yahoo home page and click "Update Password-Reset Info." On the info page, you can also add an alternate email address. 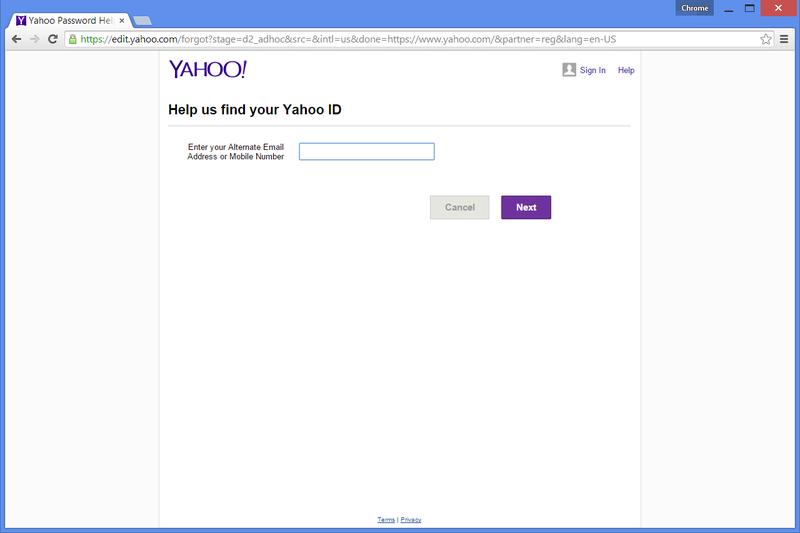 If you can't get your ID to work, try adding the domain, such as "@yahoo.com." 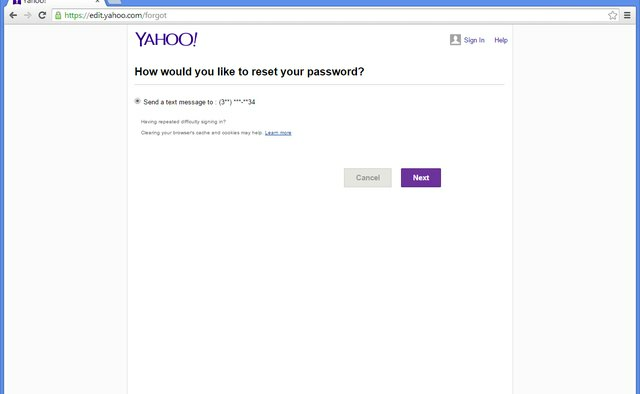 Yahoo might display a CAPTCHA, which helps prevent unauthorized access, at some point during the ID recovery or password reset process. If you see a page with a box of jumbled letters obscuring a short code, type the code into the text box. 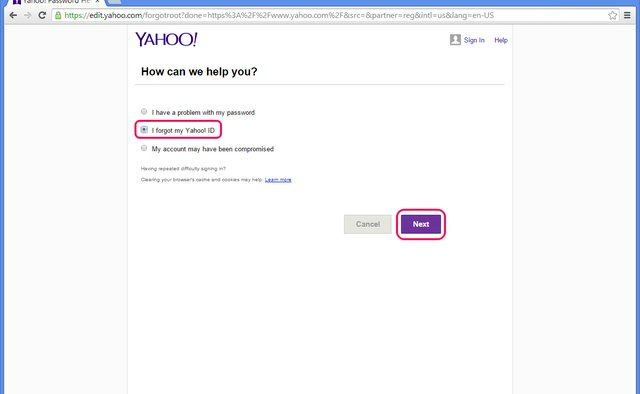 If you've had a Yahoo ID for a long time and haven't updated your account information, your account might use secret questions rather than a cell number to reset your password. 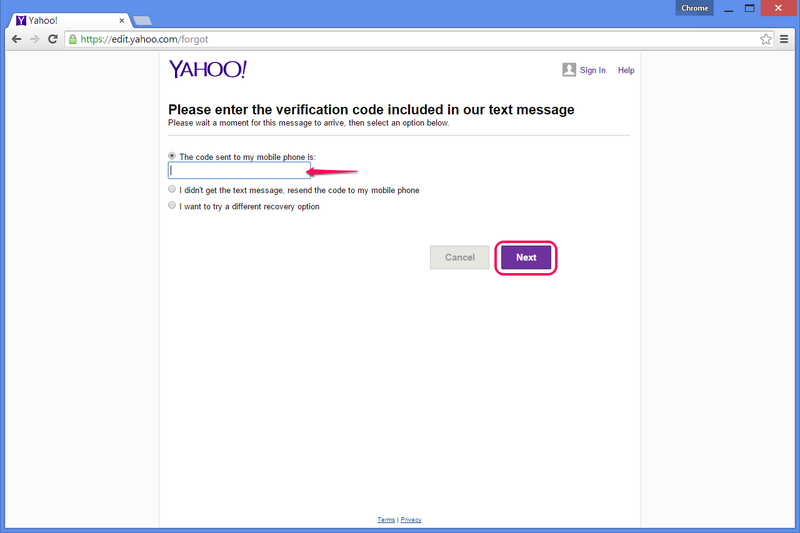 In this case, pick "Use My Secret Questions" instead of "Send a Text Message" and enter the answers to your questions. To avoid lost passwords, allow your Web browser to save your password after you log in. 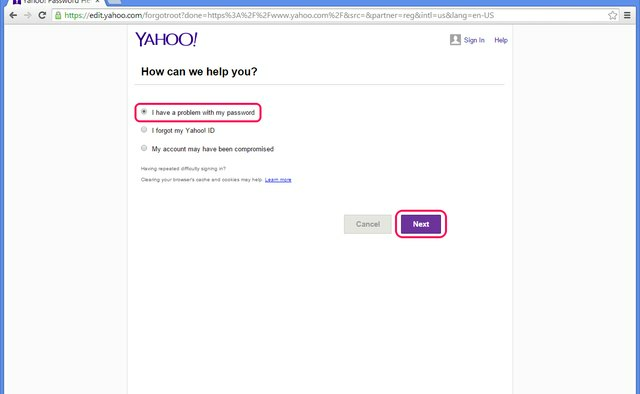 Use this option only on private computers, however, as other people could find the password if saved on a computer that other people use. Similarly, if you choose to write down your passwords, keep them only at home.